This Halloween, let We Happy Few take you to Dracula's castle, Doctor Frankenstein's laboratory, and into the twisted mind of Edgar Allen Poe. 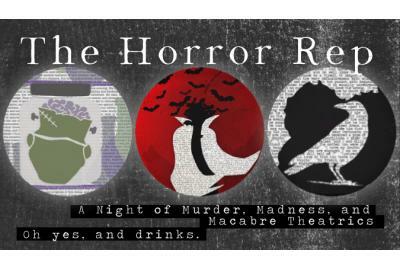 Fast paced, funny, and just a little spooky, the Horror Rep features a custom drink pairing for each show and will entertain and delight all ages. Located at the corner of 7th and G Streets SE. Street parking is very challenging; using Metro is encouraged.